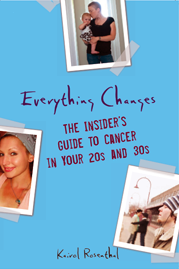 Everything Changes – The Guide to Young Adult Cancer » Is Being An Aggressive Patient Always Smart? I was such an aggressive patient that my surgeon said I was his first patient to volunteer for a “hemibodyectomy”. The biggest problems I had were after I finished cancer treatment and looking back now I can see that it was because of the loss of control. 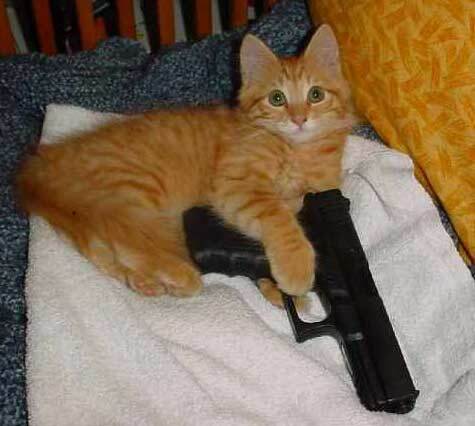 I think there is a fine line between being proactive and being aggressive and I’m not quite sure where that line is. I told my oncologist at one point that I wasn’t comfortable stopping chemo. He sat down and explained to me that I wasn’t stopping chemo, I was FINISHED with chemo. I asked my radiology oncologist why were were stopping treatment at 35 doses, how do we know that’s enough and he took the time to explain that thousands had gone through the treatment in the past and they had learned what worked best. I have to assume that this would be more difficult in an uncommon cancer when there is not as much history. I can’t even imagine the anxiety involved with watch and wait Kairol, more power to you! I am also a “less aggressive” patient. With a 3cm tumor in one breast and no spread to lymph nodes, my oncologist was all ready to give me chemo “if I wanted it”. I didn’t want it, nor was it necessary according to further testing. If I wanted it? Why would I want it if I don’t need it? It scares me how many people go to the nth degree in terms of treatment thinking that bigger is better. So many women have prophylactic mastectomies because they “don’t want to worry anymore.” Is that a good reason to have your breasts removed? I don’t know. I just know it’s not for me. Much over-treatment or under-treatment may be because of the patient’s under-knowledge. Speaking as a breast cancer survivor, I had a doctor that gave me websites to read, armed me with facts and questions about my particular prognosis, explained the path reports in great detail, then let me participate in the treatment plan. I learned a lot about how many variations there are in tumors and treatment, and felt comfortable about the outcome. There’s a risk in both over or under treatment, and your decisions should not be based on your attitude. Sometimes being less aggressive is the harder path to take, but it is often the appropriate one. With cancer, it is not only the patient but often their families who feel that they must “do everything they can” to “beat the disease”. For me, I have turned down many options that were given to me by my oncologists, neurosurgeons etc because I did not feel that they were warranted at the time (I never went against my doctors strong wishes though). While I have friends and family members who were uncomfortable with my decisions, in the end I do believe I chose correctly. I want to keep the “big guns” for the big problems and conserve as much of myself as I can for as long as I can. Most people understandably try to assert control in the face of a cancer diagnosis, and so often that means “overkill”. This is one of the problems we have in the US health care system as well. Just because you can doesn’t always mean you should. Great post, Kairol. Watch and wait is a tough place to be…and at the same time, a lot of personal growth can come from the sort of release necessary to do so. I’m aggressive because I’m fairly young for my type of cancer and otherwise healthy…but I make sure of two things: 1. That I share all that’s going on with my body with the treating physician(s). 2. That I am informed. That means independent research, asking questions, all o’ that stuff. I wish you peace as you approach your tumors differently right now. To me, aggressive = take no prisoners attitude. When I was diagnosed, I needed, first and foremost, surgery to remove the tumor. Then came the issue of figuring out whether my cancer had metastasized, and if so, how much. As it turned out, I had no evidence of metastasis, so my options boiled down to surveillance or adjuvant radiation. I wanted to rid myself of cancer once-and-for-all, and I was adamant about getting zapped: I wanted to decrease the likelihood of a relapse as much as I could, which, in my case, was from 20% with surveillance to about 2-4% with adjuvant radiation. After I saw my medical oncologist for the first time to discuss follow-up, he told me I was getting nothing. I was furious. The doctor’s plans did not fit into mine, and I was very frustrated at not doing the most I could to rid myself of the disease (aside from this, his steadfast reaction was one of the factors that contributed to me canning him, but that’s a story for another time). I did see another medical oncologist in the practice who has been doing my follow-ups ever since. He actually reasoned with me, stating that I was in such a low risk category, that the extra treatment could be overkill. He also saw things in a different perspective. He didn’t see it as a 20% chance of a relapse if I did nothing, but rather as an 80% chance of taking treatment that a) I likely didn’t need and b) that could have long term consequences. I found that logic appealing. I am an advocate of doing the most you can to beat cancer to the curb; but like the previous posters have said, taking the least aggressive approach can sometimes be better. I’d rather save the BFG9000 for when I really need it. KATE, you raise a really important issue that maybe I should write another blog post about: the fear of treatment being over. It is so scary to stop treatment when it is one of the only medically proactive things we can do. I bet a lot of others feel the same way. ADENA and CAROLBE, can I clone you right now and put you in charge of every cancer patient advocacy organization in the country? “Decisions should not be based on attitudes.” Damn straight, they should be based on research. I think a lot of people are having a hard time accepting that right now especially as a lot of research is showing that what we had relied on as smart cancer screening maybe is not doing what we had hope. FED your story makes so real what it is like to be living with these hard decisions and looking at them from multiple angles. I had cancer and I have epilepsy. For many cancer patients it might be hard to understand why epilespy is worse, but it is for me anyway. I had been living with the chronic illness of Epilepsy for 7 years, which left me nearly housebound for 2 of those years… then just as I had been feeling OK for a few years, along comes the thyroid cancer diagnosis. Prognisis-wise I am doing great, but the roller coaster of getting the levels right (hypo again), what a chore. There are times, and I’m in one of them now, when it’s a cloud darkening my days. I know I will feel better again, soon I hope, but for how long? What kind of patient am I? Well 9 years into the health game, I am a different patient now at age 43 than I was at 34. With the epilepsy I read everything, tried to learn as much as I could, worried constantly that the doctors were giving me good care, questioned them, couldn’t understand why I didn’t get better (some people don’t which is a hard thing when it’s YOU), but still did what the doctor told me. Took my meds. Even when the side effects were atrocious…. Tried everythign alternative under the sun and looking back was way too patient with side effects and quality of life. But I was so desparately afraid of having seizures. I was grasping for health, and it was illusive. What a depressing thought at age 34. With the Thyroid cancer, I was too frightened of dying to become and “expert.” Figured I was at one of the best hospitals in the country. Already had a good relationship with my endo (we were “watching” a nodule for years) and decided that no I did not go to medschool and actually however intelligent I might be, don’t truly understand the whole biology of thyroid cancer, the thyroid suppression, all that stuff. I can repeat it, but I don’t get it. They’ve seen so many people like me, that if they say X it’s probably true…. Also I came to the realization that if I was kind and respectful and appreciative of them, they as humans were likely to care more about me….. If someone came into my office and told me what to do I would might not react kindly, so I acted towards my medical drs with that in mind. How could I get them to relate to me as a person? How could I get the best care? I asked questions and each time told my dr what I was feeling. How anxious I was…how afraid. I think that helped me to be honest about that. I never tell my drs what to do, and it’s funny b/c they often ask me what I want to do. I say: I didn’t go to med school….I don’t know what we should we do? When I do have an idea, I always make sure to ask what they think about it…w/o being too agressive (I too can channel that inner rambo). And also, I don’t chase the good health concept anymore. I just take it one day at a time. Today, not a good day, OK a really bad day, but it’s not permanent.